Fort Worth Fabric Studio: Elaine's TREASURE ISLAND QUILT! 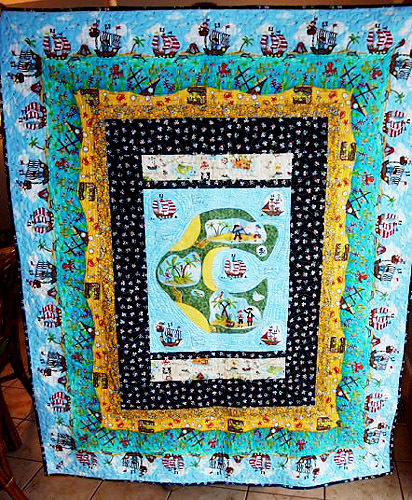 Wow, look at this amazing Treasure Island quilt by Elaine! She made this for her 6 year old grandson...what a LUCKY FELLOW! She did some pretty awesome quilting on this as well: The center is echo quilting, the skulls have squiggly lines, the gold coins have zig zag lines, the water has waves, and the sky has meandering. 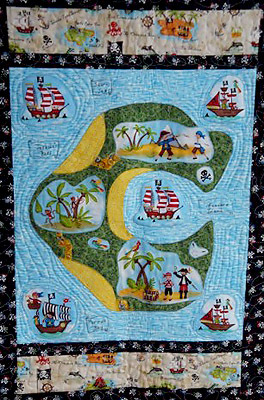 we just received more of the Pirates Collection from Makower, so you can make your very own Treasure Island Quilt! CLICK HERE To See PIRATES! 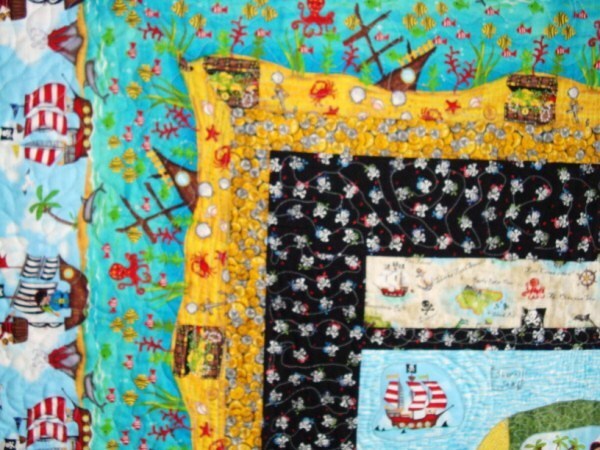 I am living this fabric, and I've never been crazy about pirates. The quilt is darling!